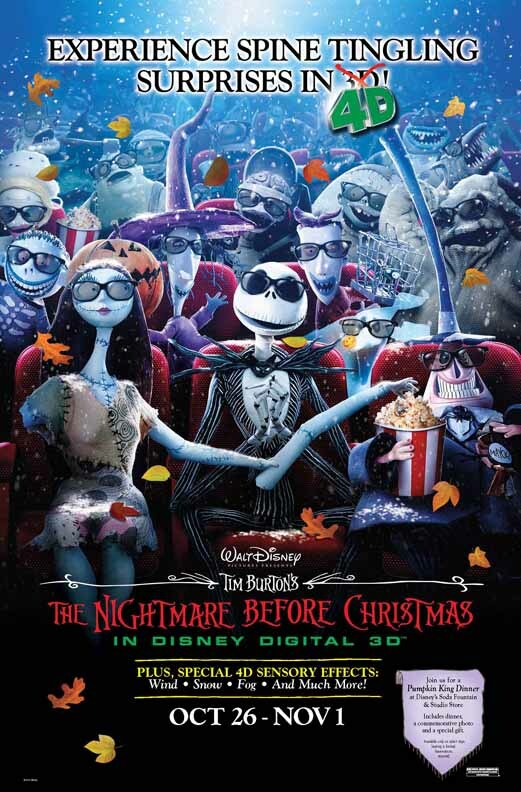 Description: Walt Disney Pictures continues its annual tradition of screening Tim Burton's stop-motion Christmas classic at El Capitan Theatre for Halloween. (Yes, we said "Christmas Classic." Though set in Halloween Town, the story devotes only the opening musical number to the haunted season; the rest of the film is about Christmas.) 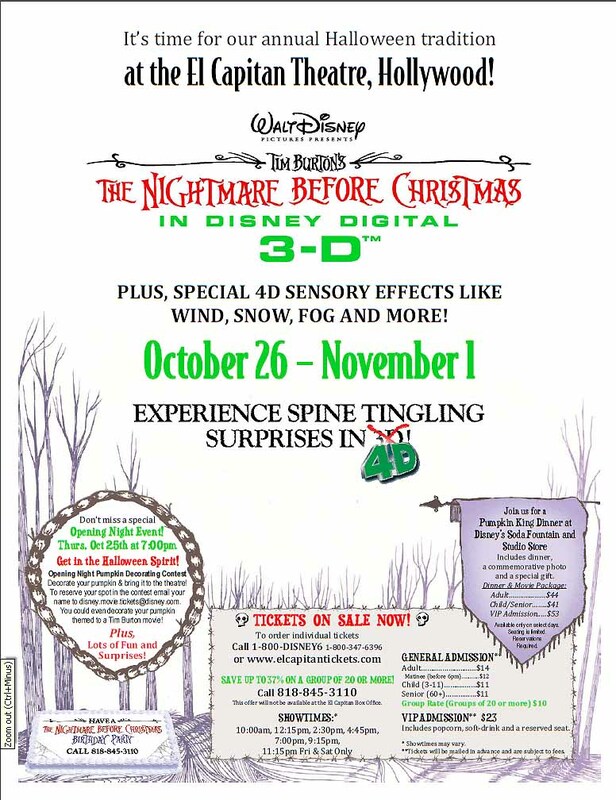 This time, El Capitan proclaims that THE NIGHTMARE BEFORE CHRISTMAS will be presented in 3-D! What does that mean? Well, the excellent 3-D conversion (which has been screened the past few years) will be enhanced with live, in-theatre effects such as fog and snow. The one-week run will be preceded by a special opening night Pumpkin Carving Contest on Thursday, October 25 at 7pm. Decorate your pumpkin (themed after a Tim Burton movie if you wish) and bring it to the theatre. To reserve your spot, you need to email your name to disney.movie.tickets@disney.com. Other fun and surprises are promised. Tickets: $14 for adults ($12 for matinees before 6pm); $11 for children 3-11 and for seniors (over 60). VIP Admission for $23 (includes popcorn, soft-drink, and a reserved seat). On select nights, you enjoy a Pumpkin King Dinner at the Disney Soda Fountain next door to the theatre: $44 for adults, $1 for children and seniors, $53 for VIP. 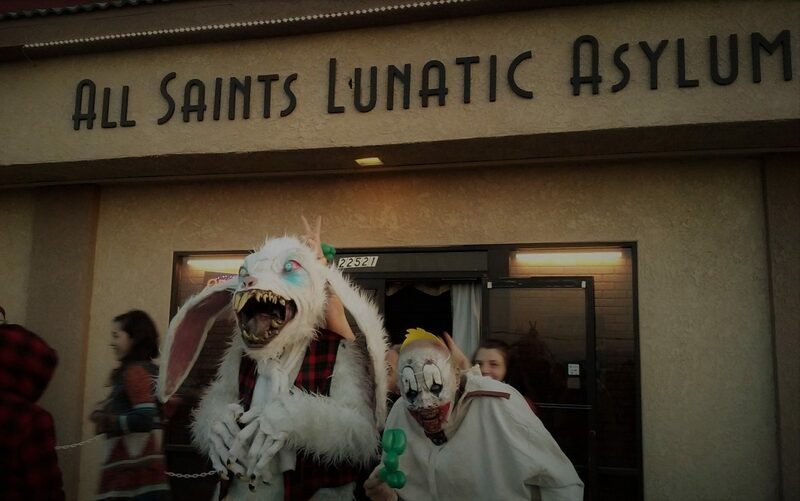 Also, you an arrange a NIGHTMARE BEFORE CHRISTMAS birthday party by calling 818-845-3110.